Ron has fished all over the states and beyond, but to him, there's no better place to settle down and fish than the proven waterways of Islamorada. 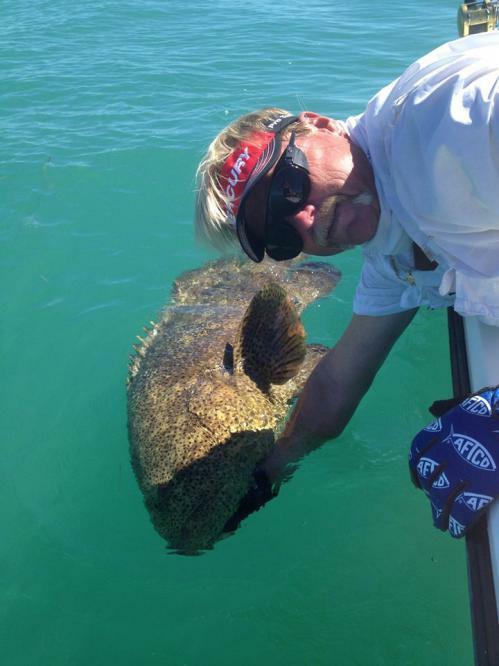 In addition to giving his customers a fishing trip to remember, Captain Ron also holds fishing seminars and has penned numerous articles on fishing in major publications. Not only is Ron a knowledgable captain, but is also a great guide who will help you have a nice time out on the water. Fantastic half day with Captain Ron!! Snapper, sharks, sea trout, jacks, and more. It was an experience the whole family enjoyed and will remember. Captain Ron has top knotch experience, epuipment, and knowledge. Would highly recommend a trip with him. My father and I spent the morning doing light tackle inshore fishing with Captain Ron. 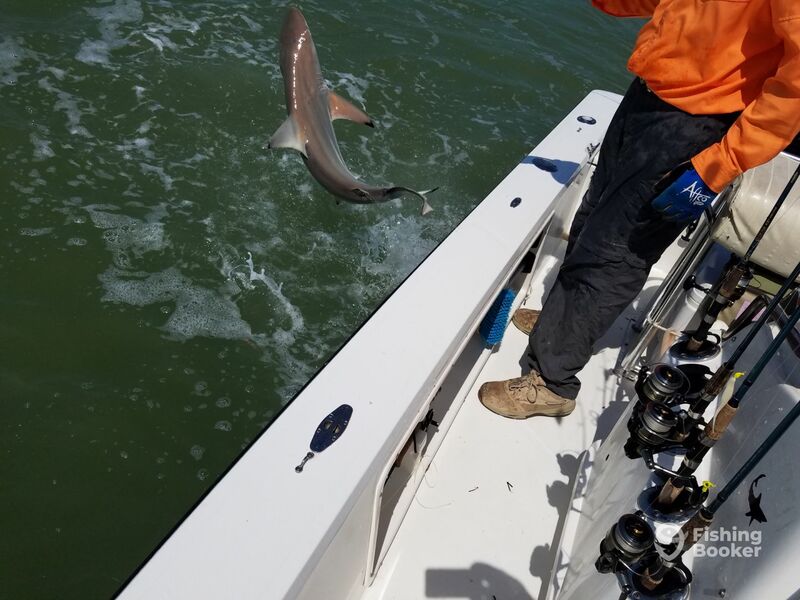 Our first stop to catch live bait was both interesting and educational as Ron took a few moments to explain the sonar readings he used to locate the proper baitfish. 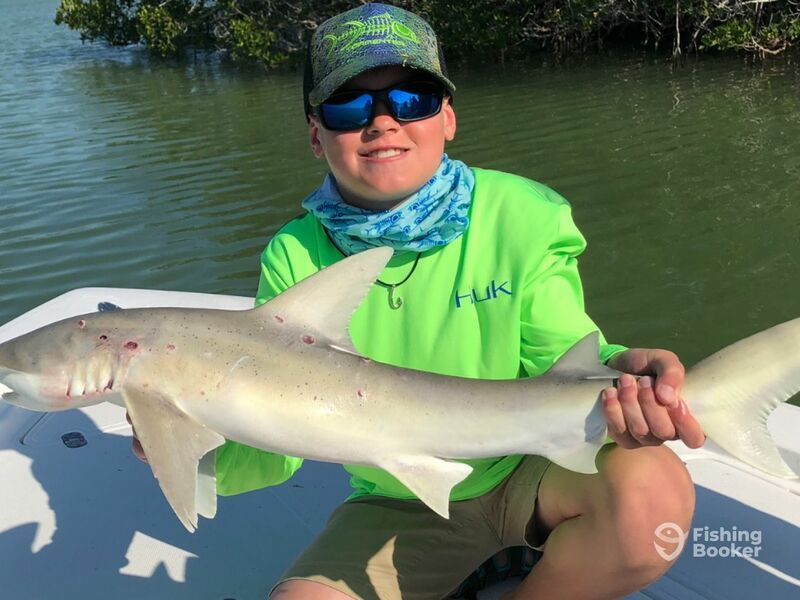 We then fished along a series of bridges and caught a variety of fish that included a gorgeous 8 pound Snook, several large Jacks, Mutton Snapper, Mangrove Snapper, and several small Black Groupers. 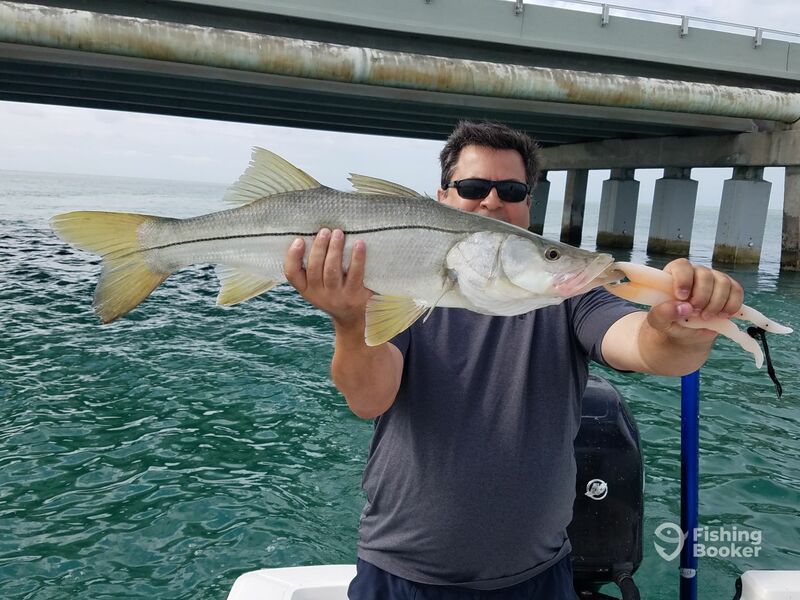 We had fun, caught nice fish, and learned a lot about inshore keys fishing. We plan to do it again! Caught over fifty fish — lots of mangrove snapper and trout, a snook, a tarpon, a shark, and even a cubera snapper. Captain Ron was excellent company in addition to very knowledgeable. The boat and equipment were all in fine shape. We had a fantastic day and won’t hesitate to book with Pirate For Hire Charters again. Great day on the water. Started the morning with lots of trout, a few really nice 22 to 23 inchers. Half day morning trip with Capt. Ron. Capt Ron took us out fishing in the bay about 25 miles. We had constant Spotted Sea Trout action with the occasional Snapper and Lady fish. We also saw a few Mackeral but couldn’t get them to bite. 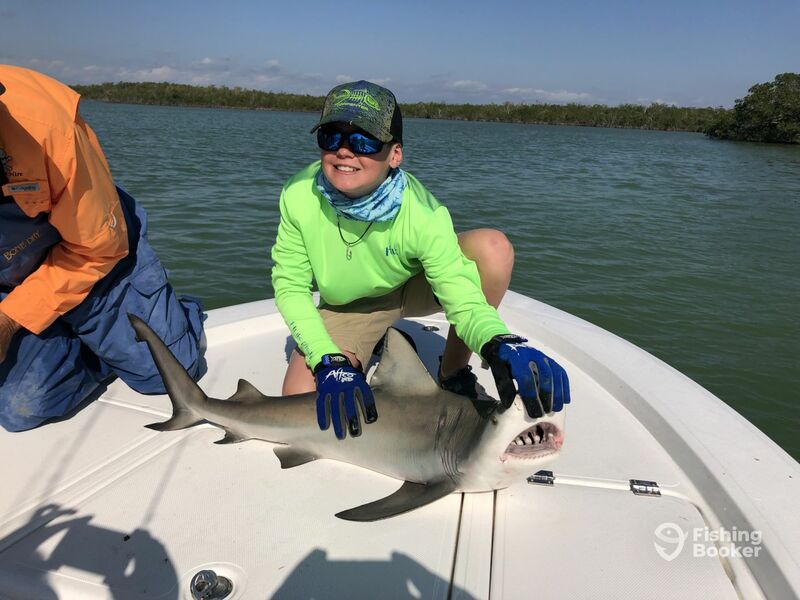 Capt Ron was great with our 10 and 12 year old and seemed to really enjoy guiding for us. We had an awesome time. Capt Ron took us out fishing in the bay about 25 miles. 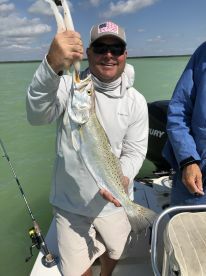 We had constant Spotted Sea Trout action with the occasional Snapper and Lady fish. We also saw a few Mackeral but couldn’t get them to bite. 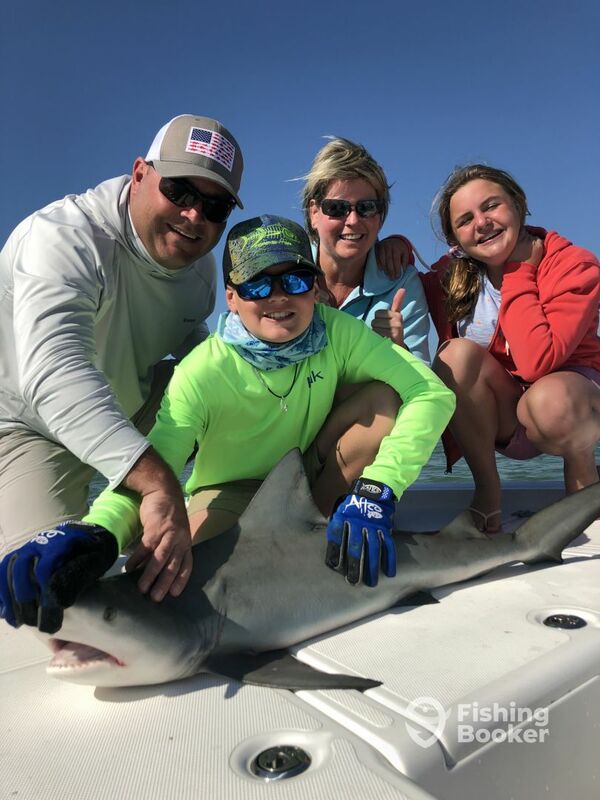 Capt Ron was great with our 10 and 12 year old and seemed to really enjoy guiding for us. We had an awesome time.